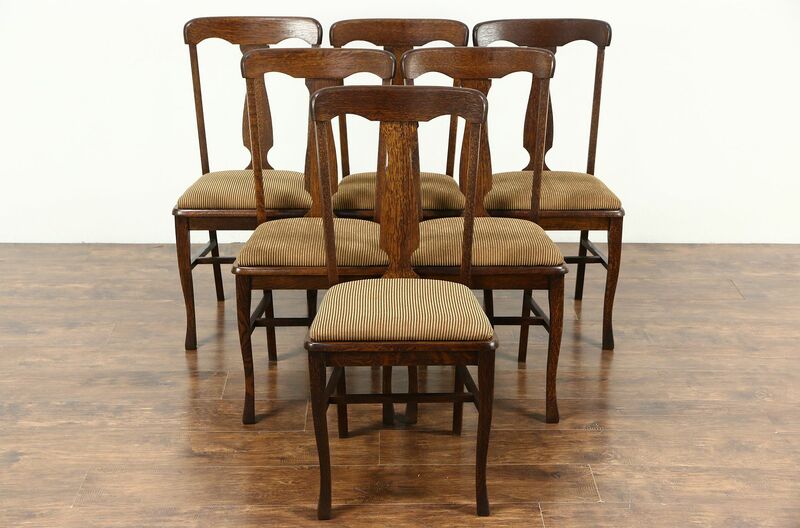 A set of six gently curving dining chairs from about 1900 are solid quarter sawn oak. Reglued to serve another generation, frames are tight and strong on this American made antique furniture. The restored deep finish is in excellent condition. Seats are newly upholstered. Measurements are 18" wide, 20" deep, 37 1/2" tall and seats are 19" high and 16" deep.